Back in 2013, as they searched for quality lighting made in North America, the couple discovered Barn Light Electric. 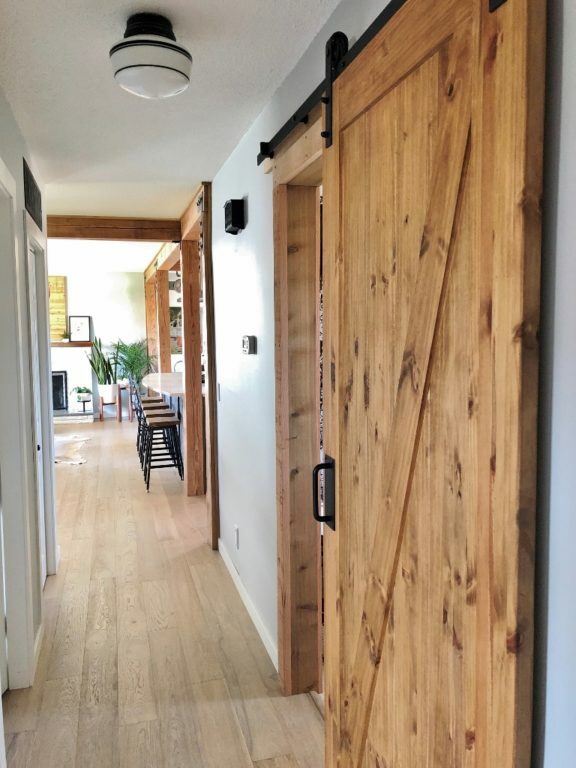 The couple worked to open up their floor plan by removing interior walls and replacing them with fir timbers. 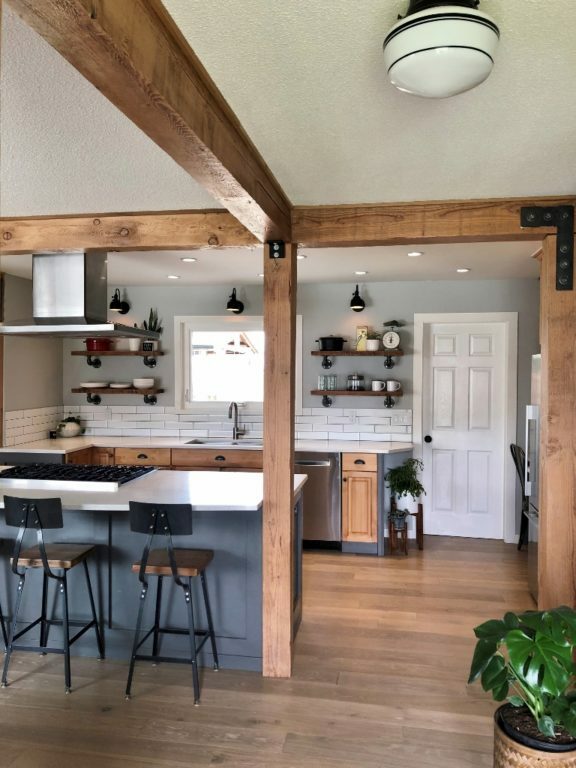 They added timber plates, replaced the original flooring, and removed the upper kitchen cabinets to open the space even more. Lori-Ann has chronicled much of their work on her Instagram feed. 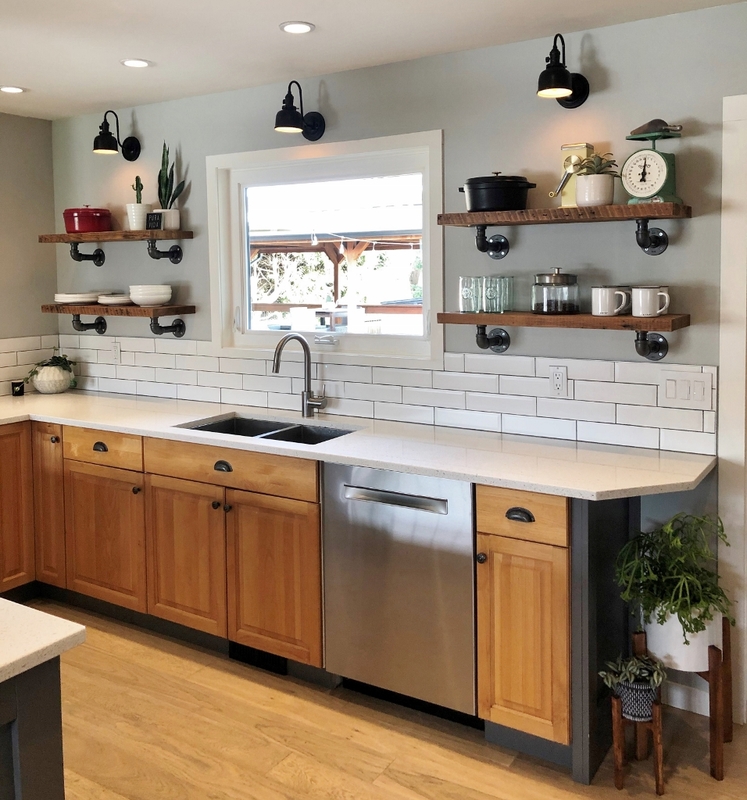 To provide contrast in the kitchen, Lori-Ann chose Fargo Wall Sconces as accent lighting. She customized these handspun barn lights with a Black finish and a paddle switch option. “The kitchen is the focal point of our home. We wanted unique fixtures that would be compatible with the industrial décor,” she notes. 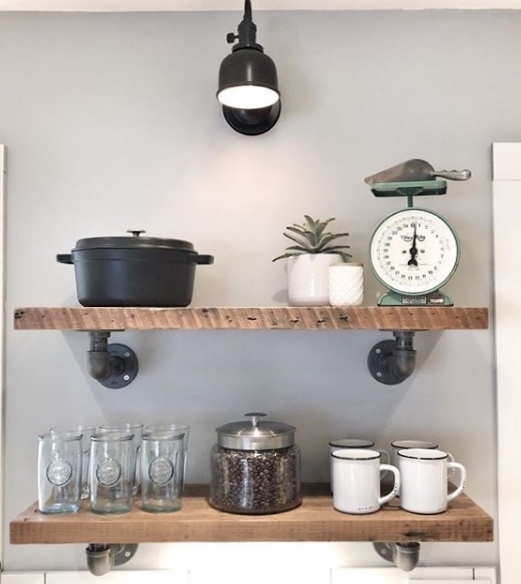 “The small size of these sconces works perfectly in the space and the directional lighting is exactly what we were looking for.” Lori-Ann uses Edison bulbs in the sconces which operate on a dimmer switch so she can control the amount of light easily. 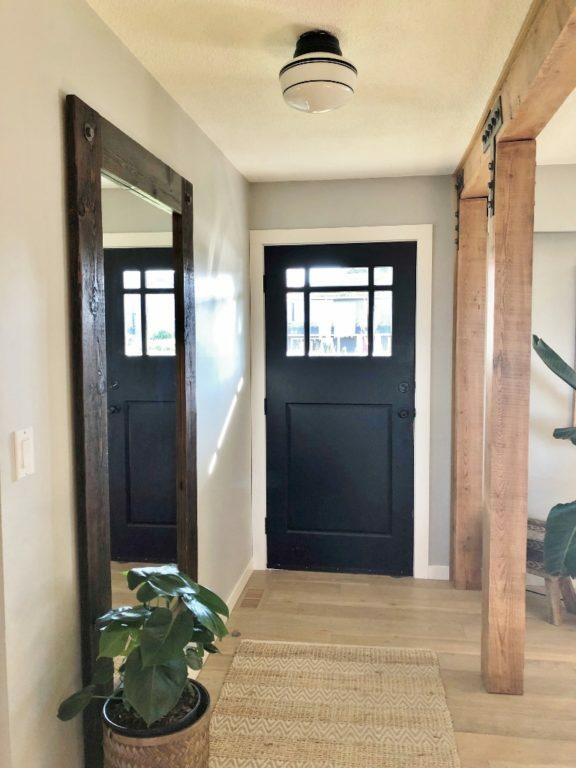 “We love the black finish as it provides contrast against the light walls,” she adds. 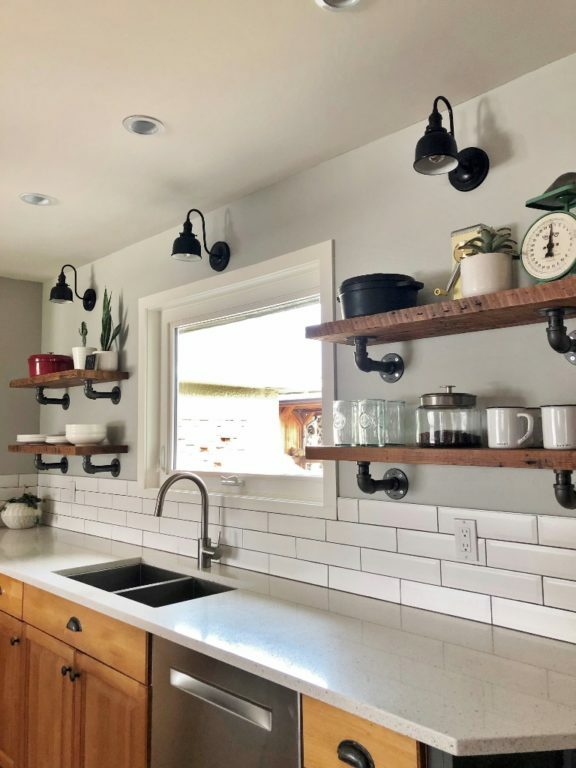 “The paddle switch is a great option too as it gives them a vintage feel.” Just outside the kitchen and down the hall, the couple chose schoolhouse lighting for another vintage touch. 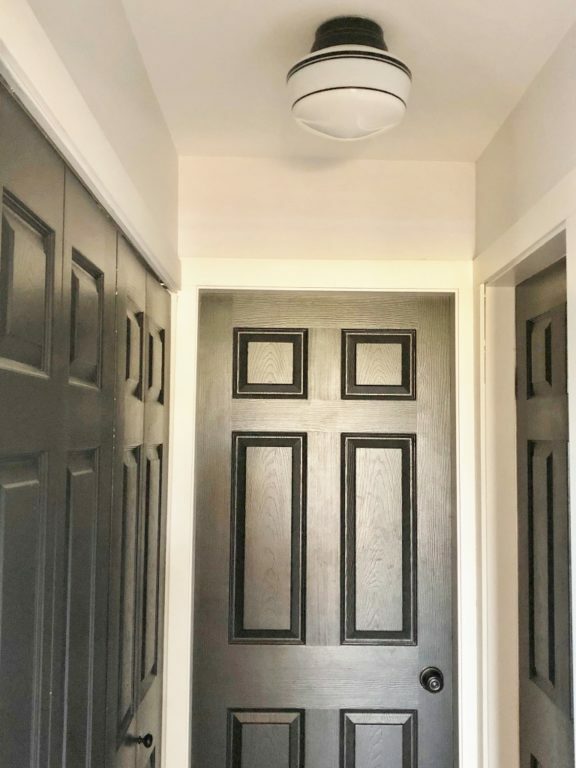 These Letterman Schoolhouse Flush Mount Lights are customized with small opaque shades, Black fitters, and a triple painted band of Black. Be sure to check back on Monday, April 15 as we continue taking a peek at Lori-Ann’s renovations. Next up, the master bath and mud room!